Egg Donation combined with gestational surrogacy is one of the most successful treatments available to help infertile couples and singles to achieve pregnancy. 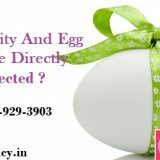 The probability of the live birth of the baby depends greatly on the fertility of the egg (oocyte) donor and has been in the 60-70% range at Go Surrogacy clinics in India. Egg Donor Surrogacy is suggested if the intended mother is unable to conceive or carry a pregnancy in her uterus and is not advised medically for genetic reasons to get pregnant with their own eggs. The child is genetically linked to the intended father. Egg Donor Surrogacy is also common with singles and LGBT singles and couples wanting to have child of their own . Our Egg Donor program starts with our recruitment program, an exhaustive detailed form, which takes every possible family history and clinical tests of the egg donor. Our egg donor program is recognized for its screening phase of large numbers of selectively chosen egg donors. Our recruitment process with egg donor program coordinators, fertility doctors, and psychological counselors ensures only good quality donors are offered to Intended Parents for Surrogacy. The egg donors, whose profiles are sent to you for selection, have cleared all the above tests and are ready for donation. The egg donor profile sent to you would detail the donor’s family history, medical educational, social, genetic and physical details. In most of the profiles you will also receive the photo of the egg donor. The identity of the egg donor is kept anonymous. 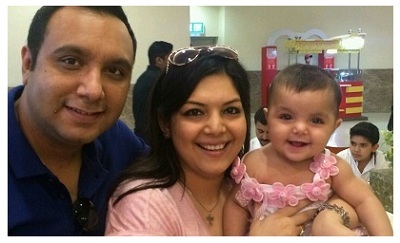 Our Surrogacy clinics in India offer Indian Egg Donors. These donors are classified as Regular donors – donors with primary education and mainly housewives and Premium egg donors – university students, graduates post graduates and working girls We are also affiliated with an International egg donor agency for Caucasian, African and other race egg donors. For details on donors and to get their profiles, click here. Get the world-class facilities under one roof and this clinic is also well equipped with the equipment that has been purchased from the international market to deliver the high success rates of taking the baby home. The staff of the Surrogacy Clinic in India provides you with the full personal and medical care throughout your journey so that you will concentrate on your treatment and successfully take your baby home. 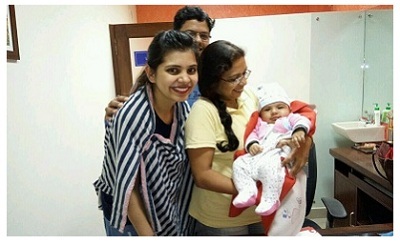 Go IVF Surrogacy has achieved the highest success rates for taking the baby home. 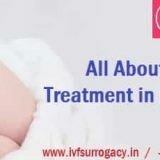 The time when you enter the IVF Surrogacy Clinic you will experience the warmth in the atmosphere and also you will get the pleasant and comfortable stay here. The fertility experts along with other professionals behave in a very polite manner with each individual and you feel that you are at your home only and not at any clinic or hospital. We believe that every couple whosoever visit the Go IVF Surrogacy Clinic is our family member and we provide the best services which are at par with the rest of the world and this is the reason that people in larger number visit Surrogacy Clinic in India every year.